Draft: 2001, New York Yankees, 21st rd. March 7, 2016 C Omir Santos assigned to Mahoning Valley Scrappers. February 26, 2016 Cleveland Indians signed free agent C Omir Santos to a minor league contract. November 6, 2015 C Omir Santos elected free agency. April 8, 2015 Cleveland Indians signed free agent C Omir Santos to a minor league contract. April 8, 2015 C Omir Santos assigned to Mahoning Valley Scrappers. April 2, 2015 Syracuse Chiefs released C Omir Santos. December 28, 2014 Washington Nationals signed free agent C Omir Santos to a minor league contract. December 28, 2014 C Omir Santos assigned to Syracuse Chiefs. September 2, 2014 Indianapolis Indians activated C Omir Santos from the 7-day disabled list. July 27, 2014 Indianapolis Indians placed C Omir Santos on the 7-day disabled list. July 26, 2014 Indianapolis Indians activated C Omir Santos from the 7-day disabled list. June 28, 2014 Indianapolis Indians activated C Omir Santos from the 7-day disabled list. April 26, 2014 C Omir Santos assigned to Indianapolis Indians from Jamestown Jammers. April 1, 2014 C Omir Santos assigned to Jamestown Jammers. 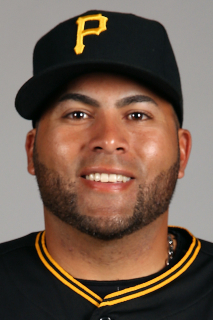 February 7, 2014 Pittsburgh Pirates signed free agent C Omir Santos to a minor league contract and invited him to spring training. October 18, 2013 C Omir Santos assigned to Gigantes del Cibao. October 3, 2013 C Omir Santos elected free agency. July 14, 2013 Cleveland Indians sent Omir Santos outright to Columbus Clippers. April 18, 2013 Columbus Clippers activated C Omir Santos. April 16, 2013 Cleveland Indians optioned C Omir Santos to Columbus Clippers. April 9, 2013 Cleveland Indians selected the contract of Omir Santos from Columbus Clippers. February 5, 2013 Cleveland Indians signed free agent C Omir Santos to a minor league contract and invited him to spring training. February 5, 2013 Omir Santos assigned to Columbus Clippers. November 2, 2012 C Omir Santos elected free agency. June 12, 2012 C Omir Santos assigned to Colorado Springs Sky Sox. 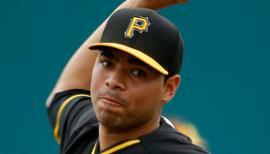 June 11, 2012 Colorado Rockies signed free agent C Omir Santos to a minor league contract. June 8, 2012 Detroit Tigers sent Omir Santos outright to Toledo Mud Hens. June 6, 2012 Detroit Tigers designated Omir Santos for assignment. May 30, 2012 Detroit Tigers selected the contract of C Omir Santos from Toledo Mud Hens. April 2, 2012 Omir Santos assigned to Toledo Mud Hens. November 16, 2011 Detroit Tigers signed free agent C Omir Santos to a minor league contract and invited him to spring training. November 2, 2011 C Omir Santos elected free agency. October 31, 2011 Detroit Tigers sent C Omir Santos outright to Toledo Mud Hens. September 5, 2011 Detroit Tigers recalled Omir Santos from Toledo Mud Hens. August 26, 2011 Detroit Tigers optioned Omir Santos to Toledo Mud Hens. August 25, 2011 Detroit Tigers recalled Omir Santos from Toledo Mud Hens. August 16, 2011 Omir Santos roster status changed by Toledo Mud Hens. August 11, 2011 sent C Omir Santos on a rehab assignment to GCL Tigers. July 5, 2011 Toledo Mud Hens placed C Omir Santos on the 7-day disabled list. June 8, 2011 Detroit Tigers optioned C Omir Santos to Toledo Mud Hens. June 3, 2011 Detroit Tigers recalled Omir Santos from Toledo Mud Hens. May 27, 2011 Omir Santos roster status changed by Toledo Mud Hens. May 4, 2011 Detroit Tigers optioned C Omir Santos to Toledo Mud Hens. April 19, 2011 Detroit Tigers selected the contract of Omir Santos from Toledo Mud Hens. April 14, 2011 Omir Santos roster status changed by Toledo Mud Hens. March 30, 2011 C Omir Santos assigned to Toledo Mud Hens from Detroit Tigers. January 10, 2011 Detroit Tigers signed free agent C Omir Santos to a minor league contract and invited him to spring training. November 4, 2010 New York Mets sent Omir Santos outright to Buffalo Bisons. October 13, 2010 Omir Santos roster status changed by New York Mets. September 21, 2010 Omir Santos roster status changed by Binghamton Mets. June 23, 2010 Binghamton Mets placed C Omir Santos on the 7-day disabled list. June 7, 2010 New York Mets optioned C Omir Santos to Binghamton Mets. June 4, 2010 New York Mets recalled Omir Santos from Binghamton Mets. May 26, 2010 Omir Santos roster status changed by Binghamton Mets. May 6, 2010 C Omir Santos assigned to Binghamton Mets from Buffalo Bisons. April 4, 2010 New York Mets optioned Omir Santos to Buffalo Bisons. November 11, 2009 C Omir Santos assigned to Criollos de Caguas. April 17, 2009 New York Mets purchased Omir Santos from Buffalo Bisons. January 20, 2009 Buffalo Bisons signed free agent C Omir Santos.